ingredients as amino acids, enzymes, mineral salts, vitamins and digestive ferments. This gel is particularly well-known for its hydrating and calming effects. It is also especially useful after sunbathing to provide optimal moisture of the skin. 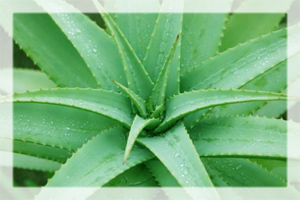 Many scientific studies and test samples have proven the extraordinary properties of the aloe plant. With a special combination of ingredients including Aloe Vera and chlorophylls, Dr. Temt’s Aloe Vera Line stimulates the rebuilding of cells and gives the skin a smooth and silky appearance. Suitable for all skin types, especially irritated and damaged skin. Night cream that stimulates the renewal of skin cells with pure biological aloe vera extract in high concentration. This moisturizer leaves the skin smooth and silky. For all skin types, but is especially beneficial to damaged and problem skin. Light gel ampoule that contains the concentrated active ingredient Aloe Vera. Offers a firming and soothing effect. For all skin types and is especially effective for sun damaged and irritated skin. Recommended to be applied while using steam. Learn more about using ampoules.